This feels weird. 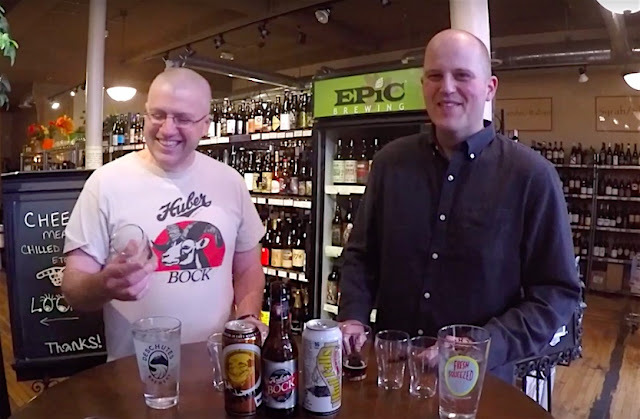 For the past 16 months, Thursday mornings usually found me posting the beer video Adam Carlson and I had shot a day or so earlier. That’s not happening this Thursday. The first episode of the Oshkosh Beer Show went up on June 3, 2015. The last show was posted last week. What I mean by “last” is that there won’t be any more of them. The Oshkosh Beer Show is over and done with. It was a fun project, but with our schedules being what they are it became a bit of a grind trying to make time for a weekly video. And when a good time turns into a grind it means it’s time to start doing something else. So that’s what’s going to happen. In November I’ll start working on a new series of videos named Beer Stories from Oshkosh. These will be short videos featuring people involved with the Oshkosh beer scene telling their stories and explaining what they’re up to with beer around here. I’ve already made a couple videos in this vein that you can check out here. If you have an Oshkosh beer story you’d like to share, get in touch. I’m hoping to cover a lot of ground with this. In the meantime, thanks for watching the Oshkosh Beer Show. Prost! Authentic Polka Music by Day; German Bier Hall by Night… The Seventh Annual Oshkosh Oktoberfest happens Saturday, October 1 at the corner of 6th and Oregon. Festivities kick off with a 2K beer walk/run beginning at 11:00 a.m. (Registration at 10:00 a.m.). Following the run, the fest gets into gear with music, food, wiener dogs races and of course plenty of good beer. And I’ll be there from approximately 12-4 p.m. leading folks through a guided sampling of German-style beers. If you go, stop by and say hello. Much more info on Oshkosh Oktoberfest is available here. Bare Bones Brewery’s Bitchin' Bonfire Bone-nanza! 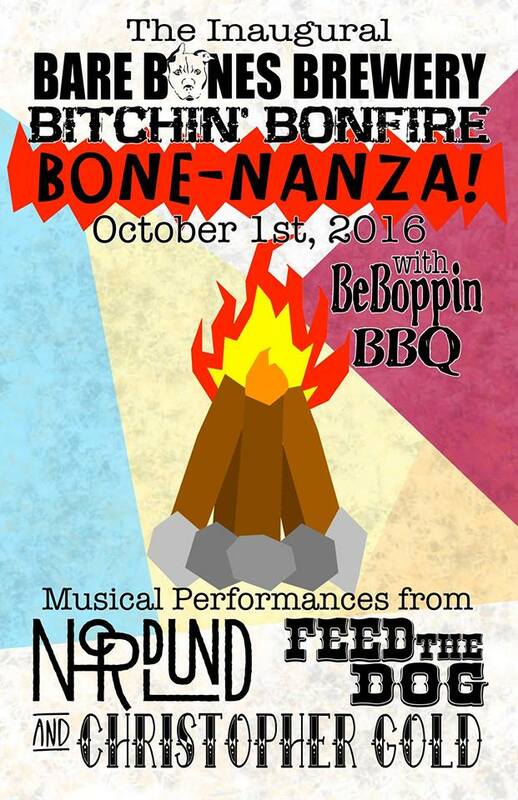 Same day, but just a little later, Bare Bones Brewery will host its inaugural fall fest, appropriately named Bitchin' Bonfire Bone-nanza! They’ll have a bonfire, BBQ, beer and music in the lot outside the brewery. Among the the bands playing will be Nordlund, featuring Bare Bones brewmaster RJ Nordlund. You gotta see that! The Bone-nanza begins at 5 p.m. and will last well into the night. For more info, check out the Facebook event page. The first gathering of the Oshkosh Chapter of Girls Pint Out will happen Sunday, October 2, at 5 p.m. at Bare Bones Brewery. All the info on that can be found right here. You don’t need to sign-up for the event, but if you do go it would probably be a good idea to head over to the Facebook event page and hit the "Going" button. That’ll give them a better idea of how many folks they’ll have in attendance. Let’s identify these folks. From left to right we have three men standing. They are Earl Horn, Arthur Schwalm and Lorenz “Shorty” Kuenzl. Seated on the wagon with his hands on the reins is John Pahlow. I haven't been able to identify the larger man seated next to Pahlow. If anyone recognizes him, please let me know in the comment section. What’s striking about the picture from our vantage point is the unintended irony. 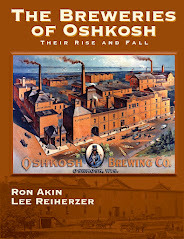 For this event, whatever that may have been, they were paying homage to Oshkosh’s brewing past. But what they were celebrating was coming to an end. John Pahlow had an early taste of the approaching decline. The horse-drawn beer roll was a prop. When this picture was taken, beer was being hauled around town in trucks. But Pahlow wasn’t exactly play acting for this photo. He knew how to drive those horses and the wagon they pulled. Born in 1882, Pahlow had been a teamster for the Oshkosh Brewing Company beginning about 1909. 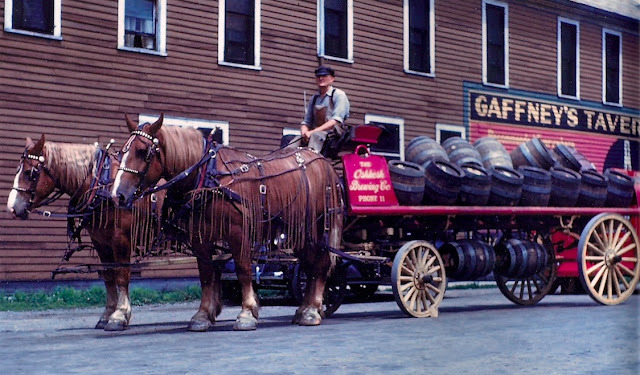 He continued delivering beer by horse and wagon until Prohibition began in 1920. After that, he worked for an ice company. His work there would also be made redundant by technology. By the 1940s Pahlow’s drayman skills were obsolete. From time to time, though, he still climbed into the driver’s seat to steer the OBC wagon during parades and other special events. Here’s another shot of Pahlow at the helm an OBC beer roll near the corner of 8th and Nebraska streets in Oshkosh. This is from June 1944. Back to that photo at the very top. The three men standing there, Horn, Schwalm and Kuenzl, couldn’t have possibly known that, like Pahlow, they would also come to embody the end of an era. The three of them would be the last in a long, uninterrupted line of Oshkosh brewing families. Earl Horn was born in Oshkosh in 1892. He was the grandson of August Horn, co-founder of Horn & Schwalm’s Brooklyn Brewery. 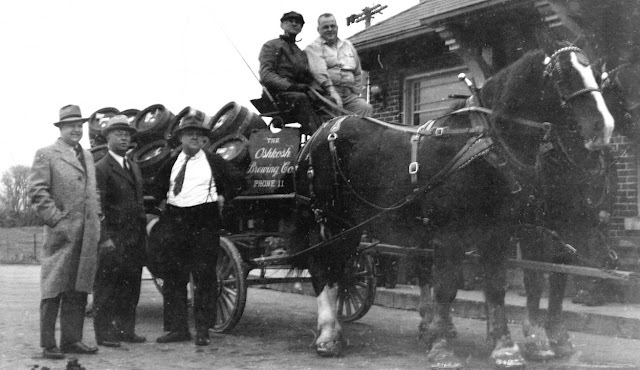 Earl Horn began working at Oshkosh Brewing Company in 1911 as the brewery’s bookkeeper. At the time of this picture, he was vice-president and secretary of OBC. Arthur Schwalm was born in Oshkosh in 1885. His grandfather was Leonhardt Schwalm, who immigrated to America in 1851 and became one of Oshkosh’s pioneer brewers. 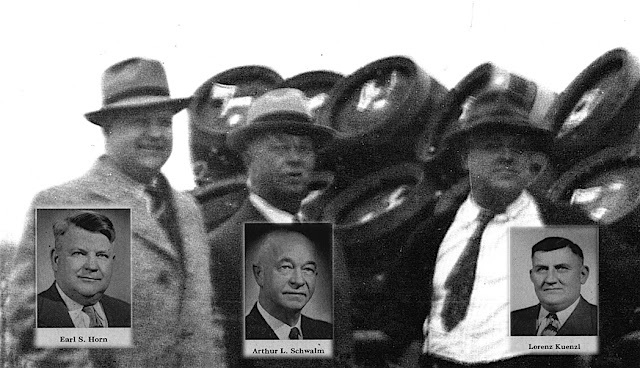 Arthur Schwalm entered the family trade in 1912 as superintendent of the OBC bottling plant. He was named president of the company in January 1942. Lorenz “Shorty” Kuenzl was born in 1900 in Beloit, but lived nearly all his life in Oshkosh. 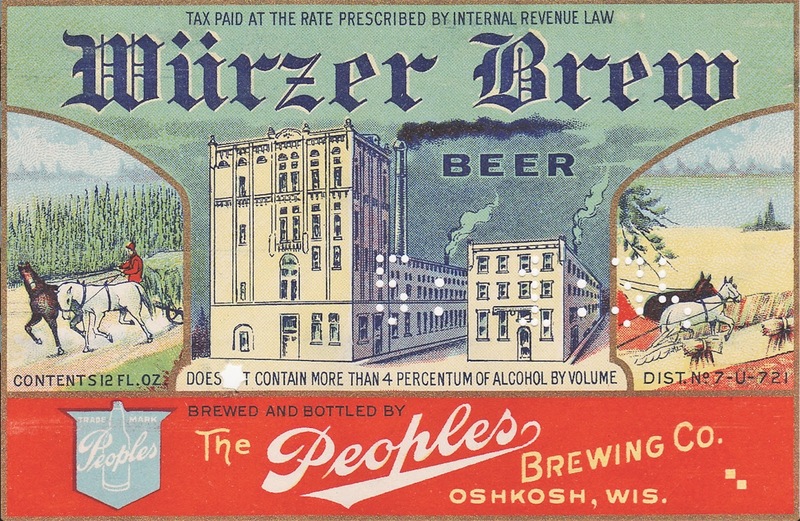 His grandfather was Lorenz Kuenzl, who established the Gambrinus Brewery on Harney Ave. in Oshkosh in 1875. Shorty Kuenzl began working full time for OBC at the close of Prohibition in 1933. At the time of the picture above he was the brewery’s treasurer and sales director. The legacy these three men inherited ended with them. In 1961, majority interest of OBC was sold to David Uihlein of Milwaukee. Arthur Schwalm, died two months prior to the announcement of the sale. The Schwalm family and Earl Horn sold their stake in the company to Uihlein. Shorty Kuenzl was the lone holdout. He maintained his OBC stock until the brewery closed in 1971. I wonder what Horn and Kuenzl made of all this in their later years. Earl Horn died in 1979. Shorty Kuenzl passed in 1986. Both had remained in Oshkosh. They were here to witness the painful dissolution of the brewery their predecessors had dedicated their lives to. Adam and I drink deep from a bomber of Wease the Juice from O’so Brewing of Plover, Wisconsin. As we guzzle, we plumb the complex world of sour ale. 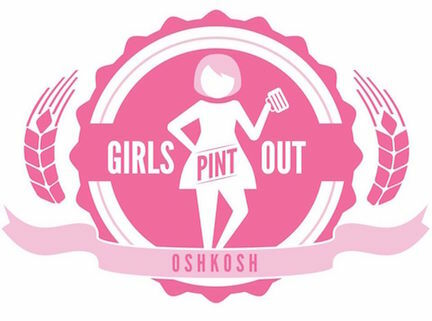 Oshkosh Girls Pint Out is a group aimed at creating a local community of women who love craft beer. Organized by Erin Peyer, the group will have its first gathering Sunday, October 2 at Bare Bones Brewery. Here’s Erin to tell us what Oshkosh Girls Pint Out is all about. Below the video I’ll include a link to the event. Here's more info on the October 2 gathering at Bare Bones. And here's the Oshkosh Girls Pint Out Facebook Page. Wednesday, August 24, 2016... Kevin Bowen spent the better part of the morning on a ladder picking hops on the west side of Oshkosh. After the harvest, he headed for the brewery where he works. Bowen is the brewmaster for Fox River Brewing Company. Back at the brewery, Bowen made final edits to the recipe he’d written for the beer he was about to brew. It all must have seemed familiar enough. He’s been making beer here since 2002. He’s brewed hundreds of batches at Fox River’s Oshkosh brewhouse. But this batch would be different. What Bowen was about to do hadn’t been done by a commercial brewery in Oshkosh in over 130 years. He was going to make beer with locally grown hops. The same hops he had just helped pick on the west side of Oshkosh. There was a time when Winnebago County grew hops in abundance. From the 1850s well into the 1870s hop farms flourished here. By 1870 the county had more than 140 acres dedicated to growing hops. 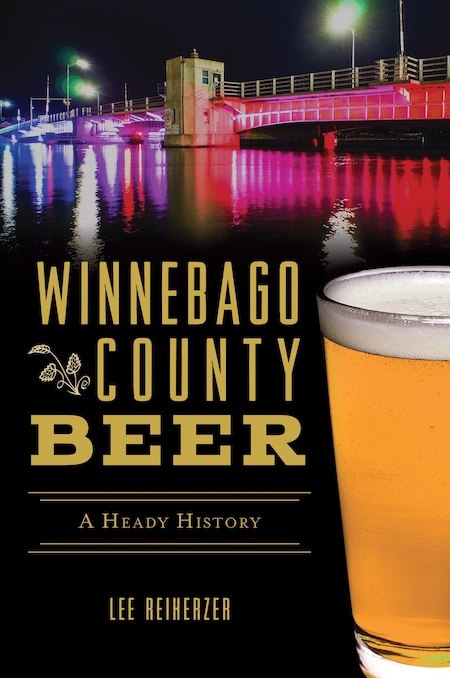 At the same time, Winnebago County was home to 11 breweries, six of them in Oshkosh. The symbiosis that existed between brewers and hop growers was central to the local beer culture. But falling prices and competition from both coasts compelled farmers here to abandon the crop. 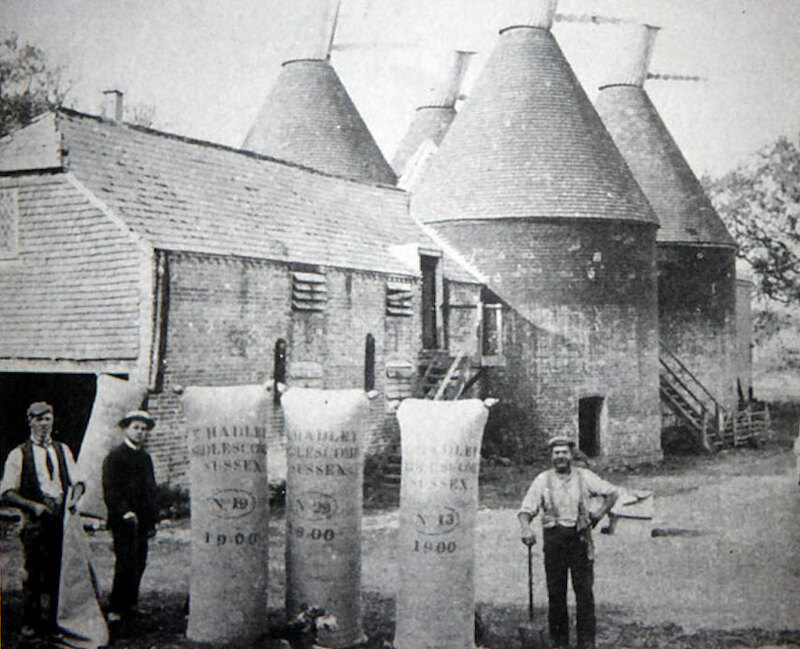 By 1880 hop farming here had come to an end. When Scott Clark and Steve Sobojinski began growing hops last year they weren’t thinking about reviving a lost part of our beer culture. Their motivation was more fundamental than that. A cluster of hop cones grown by Clark and Sobojinski. 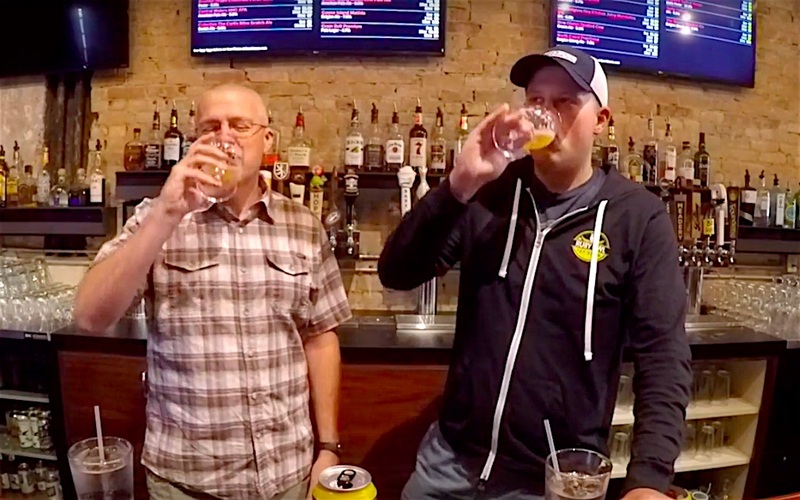 When Sobojinski ran into his boyhood friend Jay Supple, CEO of the Supple Group which operates Fox River Brewing, he shared what he and Clark were up to. Supple was thrilled by what he heard. “I was like a little kid,” Supple says. “I thought it would be awesome if we could do a beer with their hops.” It would be another year before that came to fruition, though. For year two, Clark and Sobojinski went into production mode. They beefed up the yard, expanding the trellis system and brought in another 60 some plants. By this time, Bowen had caught wind of their plans. Steve Sobojinski in his hop yard. From hop bine to brew kettle in under eight hours, making for a beer unlike any previously brewed by an Oshkosh brewery. Bowen describes it as a pale ale with a calculated IBU of 30 and an ABV of 5%. The beer is named Big Ed’s Hopyard Ale, in honor of Sobojinski’s father, Edward J. Sobojinski, who tended a large garden on the land where the hops were grown. This year's edition of Big Ed’s Hopyard Ale will begin pouring at Fox River Brewing in Oshkosh this week. You can check for it here. Monday night a new beer went on tap at Bare Bones Brewery. The name of the beer wasn’t yet final. It didn’t matter. Nobody was there to order it. The Tap Room was closed. The Tap Room is always closed Monday. Still, the new beer was flowing. Bare Bones owner, Dan Dringoli, and brewmaster, RJ Nordlund, were behind the bar. They poured a couple pints of the new beer. It’s part of the job. “Dan and I had to do a few quality control pints,” Nordlund says with a grin. Those pints were the first wet-hop beers served in Oshkosh that were produced by an Oshkosh brewery. For a city with such a long brewing history, milestones like this one don’t happen often. This was something to celebrate. 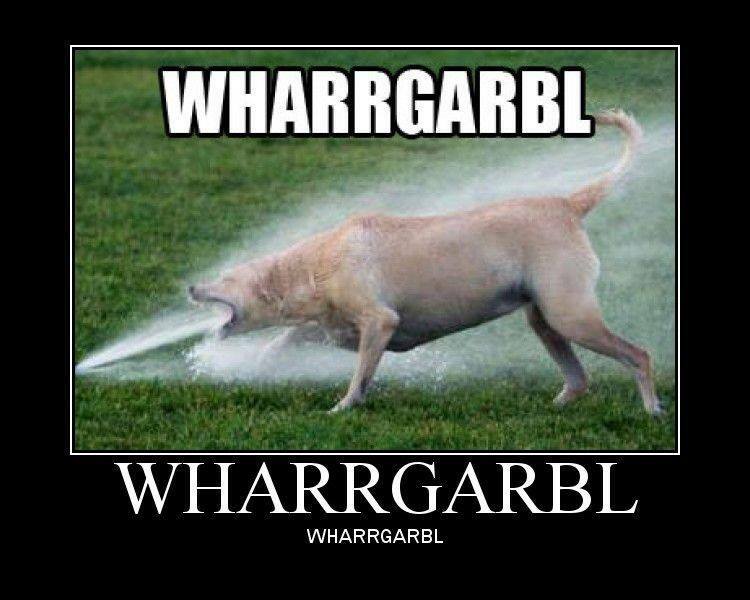 Tuesday, the beer got its name: WHARRGARBL. WHARRGARBL was brewed Monday, August 29, 2016. It wasn’t the first wet-hop beer produced by an Oshkosh brewery. The first had been brewed five days earlier on August 24 when Fox River Brewing made a wet hop beer at its Oshkosh brewery. That beer will see release within days. For lovers of hop-forward beers these are welcome events. Wet-hop beers are typically aimed at aficionados; drinkers seeking beers with pronounced hop flavor. The people drawn to that flavor put a premium on freshness because hop flavor and aroma tend to be a beer’s least durable properties. That ephemeral character is what makes wet-hop beers alluring. This is beer at its freshest. Wet hop beers are composed like other beers with one major deviation: the hops – instead of being dried and packaged – go directly from the bine to the brew kettle. The lack of processing preserves aromatics that would otherwise be lost to heat during drying. It all goes into the beer. The difficult part is that wet hops are unstable. They quickly decompose.The freshly picked cones need to enter the brew kettle within a matter of hours. Most brewers consider 48 hours as the absolute limit of viability. For WHARRGARBL that meant a nearly 800 mile drive to Michigan and back. The 15 barrel batch of beer was brewed with 60 pounds of Chinook hops grown at West Michigan Hopyards, a farm about 20 miles east of Grand Rapids. For Nordlund, a native Michigander, that’s familiar territory. The connection runs deep. Nordlund is a long-time friend of one of the growers there. “Yeah, actually I took his sister to prom,” he says. The trip to Michigan began early on Saturday morning, August 27. By 7 a.m., Nordlund and Bare Bones assistant brewer, Jody Cleveland, were on the road. Along the way they stopped at two breweries – Founders Brewing and Harmony Brewing – where Nordlund had previously been a brewer. About 4:30 p.m. they reached the farm. Here are a couple of photos Cleveland took upon their arrival. Harvested plants were being run through a mechanical hop picker when they arrrived. By the wee hours of Sunday morning the hops had been unloaded at Bare Bones. But it was too late to start the brew. The hops went into the beer cooler. Monday morning Nordlund and Cleveland began to make the beer. The hops were divided into a chain of mesh bags called a hop spider. The spider would make it easier to separate the spent hops from the wort at the completion of the boil. Nordlund had brewed these beers before. All of the hops added to the brew were wet hops. “And it’s all just boil hops,” Nordlund says. “I couldn’t have done any dry hopping with these. The hops wouldn’t have been fresh enough by then.” The boil ended. The wort was cooled and given to the yeast. Did you know a meadery/winery/cidery recently opened in Winnebago County? Now you do. Rushford Meadery and Winery is up and running in the the Town of Rushford just outside of Omro. Owners Shane and Laurel Coombs have been keeping a somewhat low profile pending the opening of their tasting room, which ought to have its doors open before too much longer. Until then, here’s a chance to get a glance and a taste of what they’re up to. Tomorrow evening, as in Wednesday, September 14, the Coombs will present five of their new meads at Bare Bones Brewery Taproom. The event runs from 5:30-7:30 pm. If mead is your thing, you really should check this one out. They’re making some great stuff in Rushford. For more info, go here. At O’Marro’s they’ve launched a Thursday Night Beer Flight program that’ll serve as a weekly, guided tasting through the word of beer. It kicks off this Thursday, September 15 and runs through the evening, no sign up or advance tickets needed. They’ll have $5 rotating beer flights, $5 Pizza and free pool. Lance Lehman, a beer industry insider who really knows his stuff, will be on hand to guide your flight. Or, if you’d rather, you can fly solo. More info here. The Oktoberfest seasons is upon us. We’ll see a number of celebrations around here, with Lion’s Tail Brewery leading things off this weekend. On Friday September 16 from 5-11 p.m. and Saturday September 17 from 1-11 p.m., Lion’s Tail will host its first Oktoberfest on the brewery grounds at 116 S. Commercial St. in Neenah. They’ll have live music, food trucks, contests and plenty of beer, including the brewery’s first Oktoberfest-style lager. For more info check out the Facebook event page. We’re going to have a busy fall full of beer around here. This is just the beginning. Prost! It would have been nice to see some hops growing there. It’s not surprising we don’t. 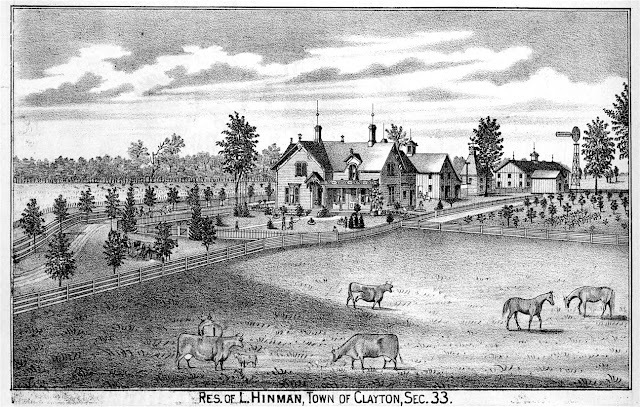 Like most farmers in our area, Hinman had abandoned hop cultivation by the time this illustration appeared. But tucked in the midst of the image is an exceptionally rare glimpse into the Winnebago County hop culture of old. Among the buildings shown on the Hinman farm is an oast house: a special type of barn designed for the drying and baling of hops. 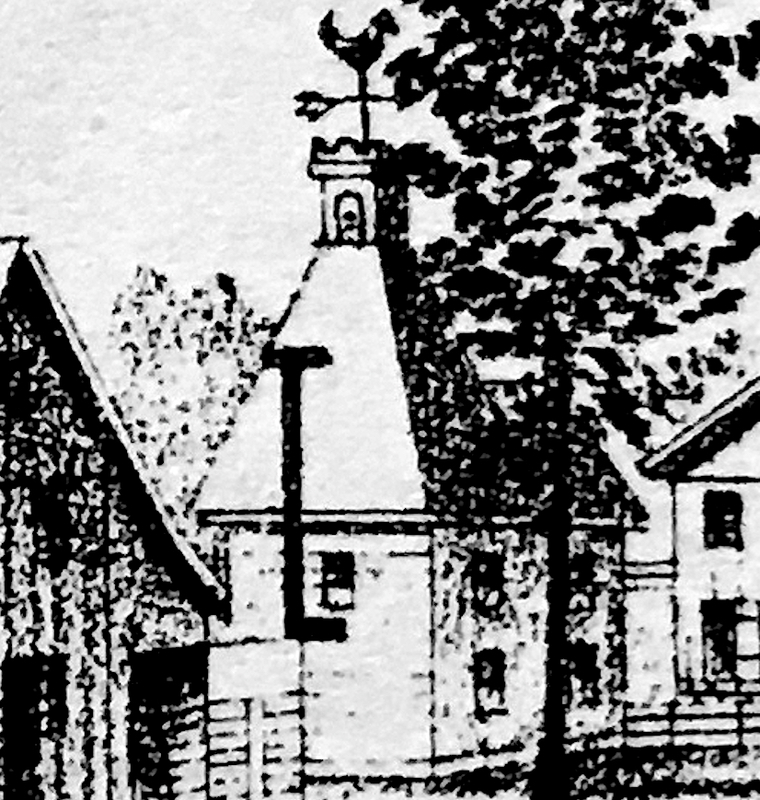 Here’s a detail of the image showing Hinman’s oast house. During the 1860s and 1870s, such barns were found throughout much of Wisconsin. Winnebago County certainly had to have had her share of them. Yet the illustration of the Hinman farm contains the only representation of a Winnebago County oast house I’ve come across. 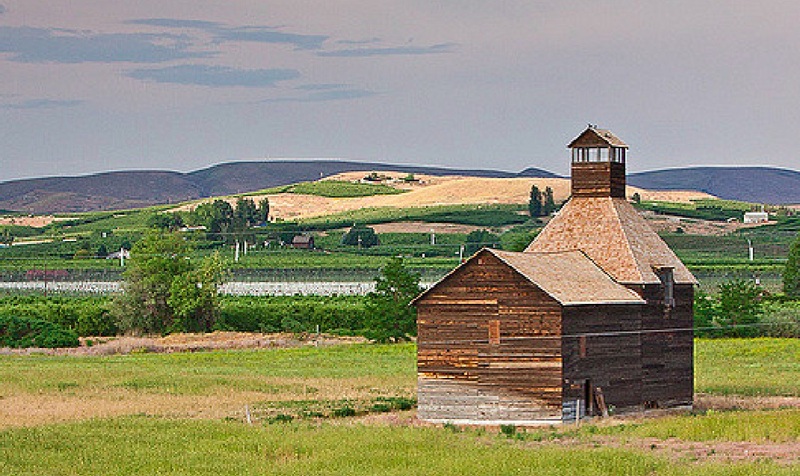 For added perspective, here are a couple of oast houses similar to Hinman’s. These were on hop farms in Washington State. These buildings were designed to be simple and effective. 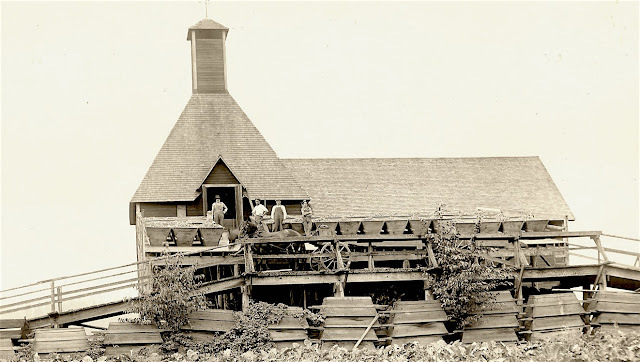 The taller portion of the oast house with its steeply pitched roof was above a slatted floor where freshly picked hops were laid out. Below them was a heat source, either a coal or wood fire. The cone-like roof helped draw the warm air through the hops, drying them in the process (and perhaps adding a smoky character to the finished product?). The black pipe that appears at the front of the Hinman oast house acted as a secondary vent to help control the heat generated within. When the hops were sufficiently dry, they were raked into the adjoining portion of the barn. There they cooled before being dropped through a hole in the floor and compressed into burlap sacks known as pockets. Here’s a diagram of an oast house very much like Hinman’s that illustrates the process. And here are three pockets of finished product outside of an English oast house. By the 1900s, this handcraft method of processing hops once used at the Hinman farm had given way to a more mechanical approach. And by that time, hop cultivation in Winnebago County had been over and done with for decades. Barely a trace of that culture survived the ensuing years. The drawing of the Hinman farm is a faint echo from that past. This week, Adam and are talking fall seasonal beers and how they've become untethered from the season. While we yap, we slug down Oktillion, the new Oktoberfest-style beer from Ale Asylum of Madison, Wis.